White Chocolate Mint Jar Candle - 16.5 Oz. 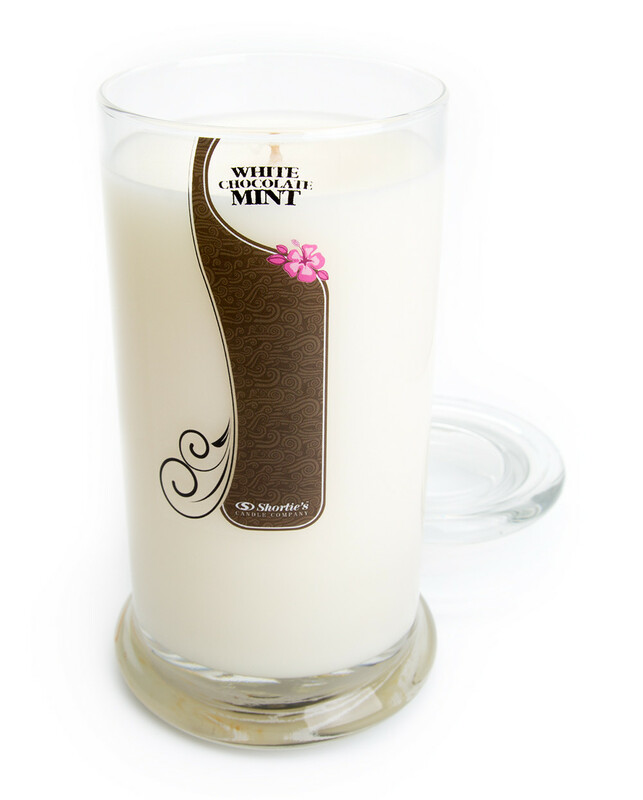 Our White Chocolate Mint candles are hand poured with a soft food grade paraffin wax blend for great scent throw. All of our Bakery candles are highly scented and designed to burn all the way to the edge and bottom with a strong scent throw. Our 16.5 Oz. White Chocolate Mint jar candle will burn for approximately 110 hours when burned in 4 hour increments. The White Chocolate Mint fragrance oil used in our scented candles and wax melts is Phthalate Free. Breathe in the fantastically rich aroma of creamy white chocolate mixed together with the minty fresh smell of freshly pureed mint. A gourmet treat for your nose. Our Beautiful White Chocolate Mint Jar Candles are a modern touch of elegance that will compliment any home decor, and are the perfect size for allowing a single wick to burn all the way to the edges and all the way to the bottom. All of our Bakery candles feature a clean burning, self trimming, natural fiber wick. Vanilla Bean Jar Candle - 16.5 Oz. 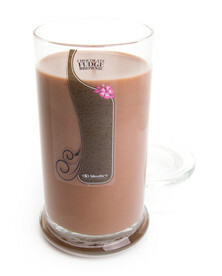 Chocolate Fudge Brownie™ Jar Candle - 16.5 Oz. Cinnamon Bark Jar Candle - 16.5 Oz. Cinnamon Vanilla Jar Candle - 16.5 Oz. Vanilla Maple Jar Candle - 16.5 Oz. Pumpkin Souffle Jar Candle - 16.5 Oz. Caramel Apple Cider Jar Candle - 16.5 Oz. Butter Pecan Pie Jar Candle - 16.5 Oz. Pumpkin Walnut Cheesecake Jar Candle - 16.5 Oz. Vanilla Bean Walnut Jar Candle - 16.5 Oz. Vanilla Hazelnut Jar Candle - 16.5 Oz. Fresh Peppermint Jar Candle - 16.5 Oz. Nag Champa Jar Candle - 16.5 Oz. Gardenia Jar Candle - 16.5 Oz. Stargazer Lily Jar Candle - 16.5 Oz. Grapefruit Jar Candle - 16.5 Oz.